Va Refinance Rates, Whats the Best Option? 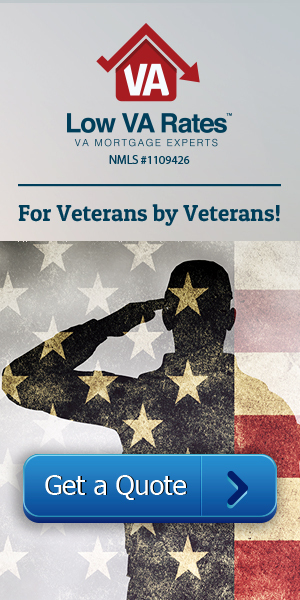 Veterans can save money with mortgage VA refinance rates. With any mortgage, the thing that causes many borrowers the most stress is probably the interest rate. This makes sense since having high interest could cause a veteran to pay hundreds of dollars more each month than what’s really necessary. Regret might set in if they settled for a higher interest rate with the loan they took out a few years ago and now can see how low the market has become. The borrower might wonder what would’ve happened if they’d just waited a little longer to make a new purchase. . Refinancing is so much simpler than some people make it out to be. And with a VA refinance, you can get a much lower rate with significantly less paperwork. The VA streamline refinance (IRRRL) is the most popular option offered through the VA, and if you’re worried about the cost, just look at the name: Interest Rate Reduction Refinance Loan. The very name itself tells you interest is going to go down. In fact, this streamline cannot even be offered if the loan rate will increase (except in one case mentioned below). One thing to remember with the VA streamline is that it cannot be used unless the borrower already has a VA loan. Conventional loans can be refinanced to VA but not through the IRRRL. The only scenario under which your interest rate would rise with the IRRRL is if you were switching from an ARM to a fixed-rate mortgage. That doesn’t mean that it will increase, just that it is allowable. So why would that ever be a good idea? Well, you sacrifice a lower home loan rate for security in this case. If the market showed likely increases in the next few years, you might want to switch to a fixed-rate mortgage that would get you a higher rate temporarily but a lower rate in the long run than any ARM you might currently have. The IRRRL isn’t the only option that will lower your monthly payments. There are a few others, but one of the major ones is the VA cash-out. This one not only lowers your rates, it also puts a little extra cash in your pocket from all the equity you have built up on your current house so far. Although this option can lower interest, your monthly payments may increase substantially depending on how much money you take out from built-up equity. With such big savings, you might wonder why people don’t refinance all the time. But in fact, there are a few different cases where this would hurt rather than help. First of all, in order for VA refinance rates to drop, the market has to be lower. VA Mortgage rates are still determined by the index and the margin so if market rates are skyrocketing, refinancing really isn’t going to help you in most cases. And if rates are low but not low enough, you might end up paying more in closing costs than you would be saving in monthly payments. Home loan interest rates are important to consider when thinking about a VA loan refinance. Mortgage rates may not always drop in every circumstance. In those cases, a higher rate is usually the price for other benefits, like stability or even extra cash that can help lighten other debts. But in most circumstances, loan refinances offer relief with lower payments. Call Low VA Rates today to hear all the details about how a VA refinance may help you.